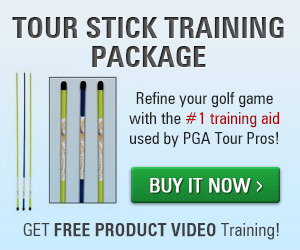 First, open up the face of the club. 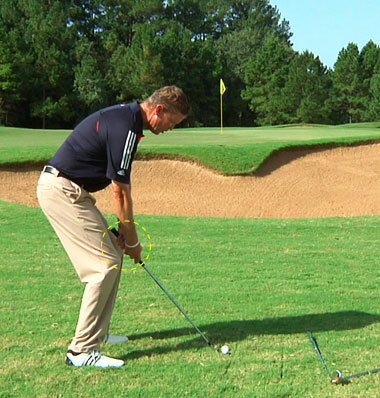 This changes the ball flight to the right of the target and will help you loft the ball up and over the bunker. 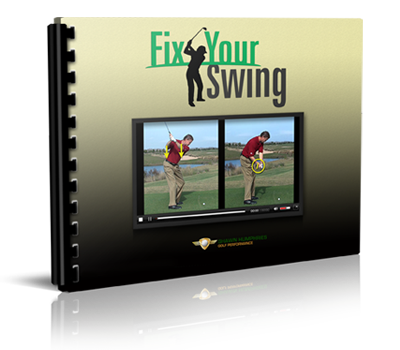 Next, lower your handle the same amount that you opened the clubface. 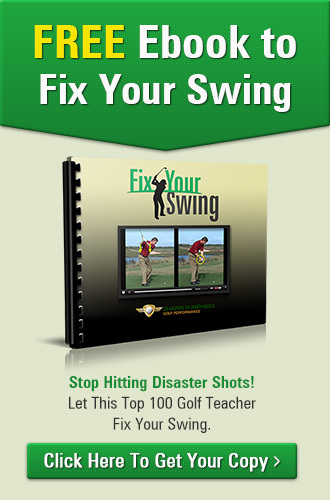 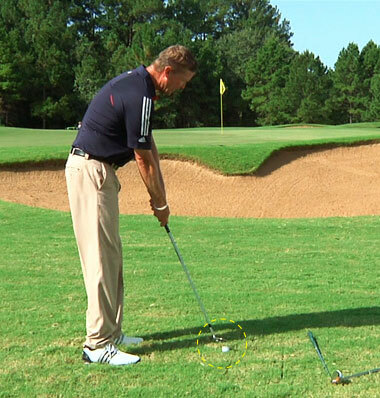 This will correct your ball flight and allow you to stay square to the intended target line.